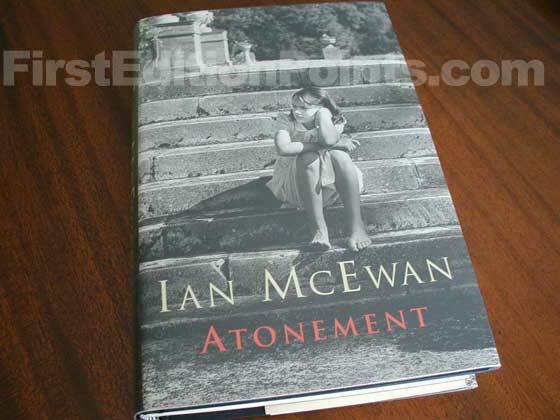 The first edition of this modern classic Ian McEwan book was published by Jonathan Cape in 2001. It was 372 pages long, and the original retail price was £16.99. 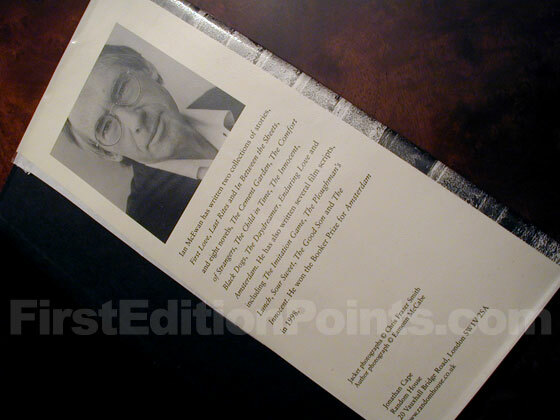 The first edition can be identified by the following criteria: The true first edition is the UK edition. Copyright page has the full number line 2 4 6 8 10 9 7 5 3 1. 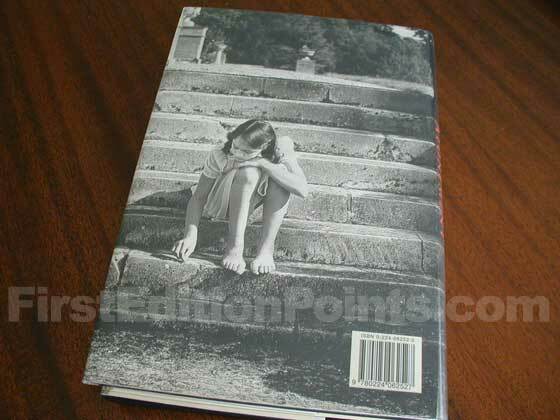 Picture of the 2001 first edition dust jacket for Atonement. 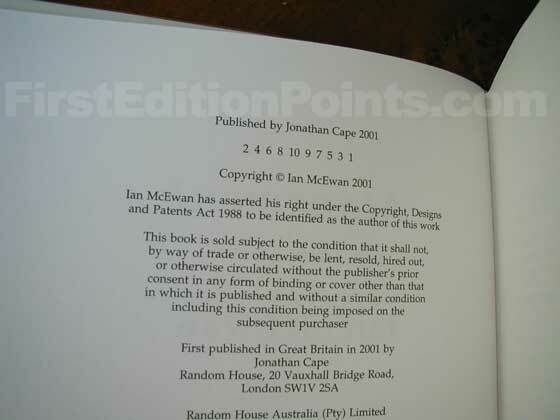 Picture of the first edition copyright page for Atonement. 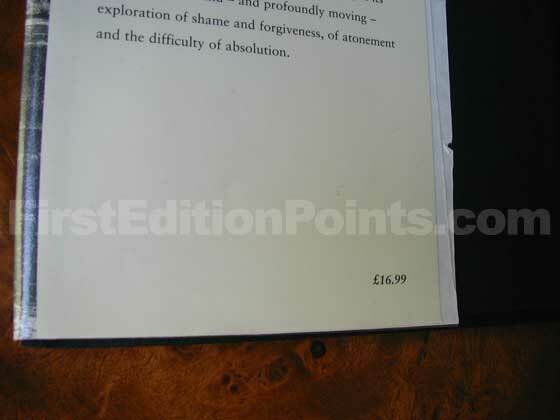 Picture of dust jacket where original £16.99 price is found for Atonement. 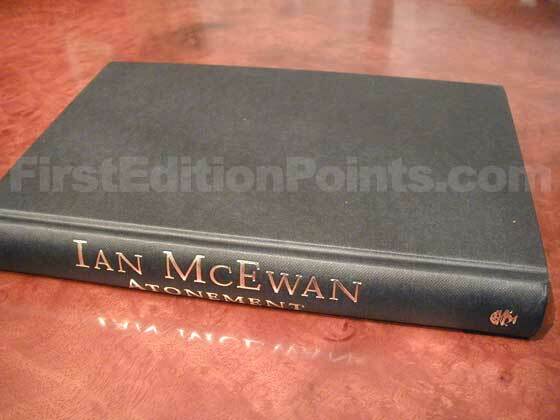 Picture of the back dust jacket for the first edition of Atonement. Picture of the first edition Jonathan Cape boards for Atonement. Picture of the back dust jacket flap for the first edition of Atonement. Use the pre-filled links below to find the market value of Atonement. Remember that the dust jacket is an important part of any book, and so books without their original dust jackets typically have less value.